Take a flight with us and experience the Joy Of Soaring! You can also share the experience with another passenger in our Schweizer 2-32 glider! Introductory, orientation flights are offered for people of all ages who want to experience the Joy of Soaring, to fly without an engine - like a hawk. We often follow them - because they're always in the best lift! You'll be accompanied by one of our FAA Commercially Rated Pilots and you'll be able to spend your time enjoying what every glider pilot lives for! LESC Members can fly our 2-32. The 2-32 is a 17-meter sailplane and was once the world's highest-performance production multi-seater, and has been a prolific record-setter. In the late 1960’s and through the 1970’'s the design held many world and national records for speed over 100, 300 and 500 km courses, as well as a variety of distance, out-and-return and altitude records for both men and women. Few of these gliders were produced, which makes them quite valuable and not generally available for use by Glider Pilots. 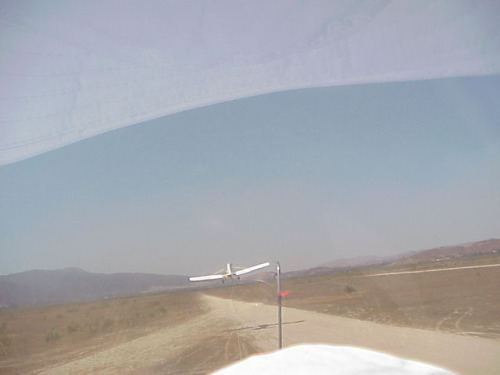 However, LESC's Training Program makes this unique glider available to Members who successfully complete the program and qualify to fly this magnificent soaring icon. Did you know that 14 year old Students Pilots who meet the requirements and have the authorization from an FAA Certificated Flight Instructor, Glider can Solo a Glider? That's right, the FAA recognizes that young people who apply themselves and receive the appropriate training and exhibit the skills and judgment to do so can fly a glider by themselves 2 before they can drive a car alone. LESC wants to foster this and has created a Youth Program where young pilots can earn while they learn. For each day they work the line, helping other pilots launch, recover and move their gliders on the airport, the student will earn a free lesson and tow. The lift was plentiful today. Jason Schiffner, Bill Wright and I had 1.5, 2.5, and 3 hr flights in 1-26's, reaching 8500 ft. Dave Moynihan soloed in a 2-33. April is a great time to fly. Good lift, and the weather is cool.